Spain's cabinet adopted a decree on Friday allowing the exhumation of the remains of ex-dictator General Francisco Franco from his vast mausoleum. But it is not the only country to have faced difficulties dealing with the remains of controversial leaders. On his death in 1953, Stalin was buried in the Moscow mausoleum of his predecessor, Vladimir Lenin. But eight years later, a process of "de-Stalinisation" was launched to dismantle the dictator's cult of personality and his remains were quietly transferred to a more modest resting place near the Kremlin. Stalin's resting place is still a site of pilgrimage for some diehard communists. The dictator and his wife Elena were arrested after a popular anti-communist uprising in 1989, summarily judged and executed by firing squad. Amid fears their graves might be desecrated, they were surreptitiously buried at night under crosses bearing false names. The bodies were exhumed in 2010 to dispel doubts about the identity and reburied at Ghencea cemetery in Bucharest, this time together. 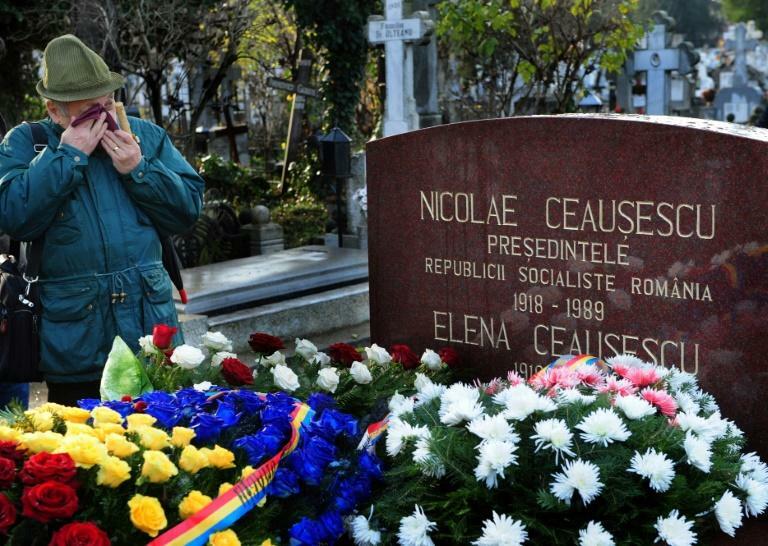 Rising nostalgia for the communist era prompted some Romanians to visit the red marble grave in January 2018 to mark the 100th anniversary of Ceausescu's birth. Killed during the Libyan revolution in October 2011, the dictator for nearly 42 years was buried in a secret location in the desert after a religious ceremony. The military said it wanted to avoid his grave becoming a rallying point for supporters. One official said the aim was to follow the example of what happened to Nazi dictator Adolf Hitler, whose body disappeared after his suicide as Soviet troops stormed Berlin in 1945. Having ruled since 1979, Saddam was arrested by US forces in 2003 as he hid down a hole north of Baghdad. After his execution in 2006 for crimes against humanity, his body was buried in a mausoleum he had built for himself in the village in which he was born. The tomb became a place of remembrance for his family and supporters but around 2014, it was destroyed in mysterious circumstances. Some suggested an attack by the Iraqi air force was responsible, while others said it had been blown up with dynamite. The whereabouts of the body, including whether it remains in the ruins, is a subject of much speculation. The remains of the last emperor of Ethiopia were discovered in 1992 and exhumed from a grave in Addis Ababa, where they had been cast by leaders of the 1974 revolution. 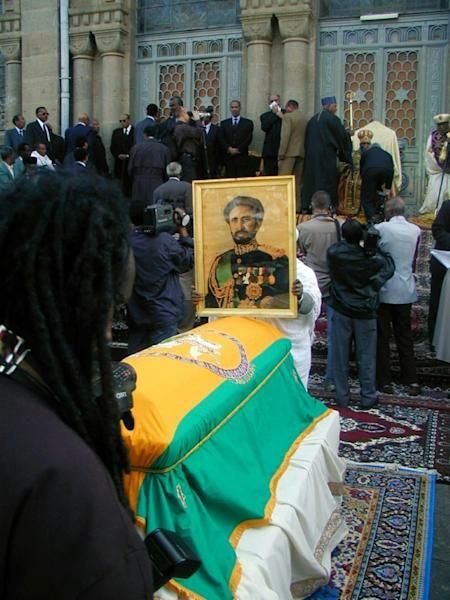 It was only in November 2000 that Selassie, who died in 1975 in mysterious circumstances, was finally buried in a church in the presence of the imperial family. The remains of Hitler's former right-hand man, who died in prison in 1987, were exhumed in secret in 2011 in Bavaria and his grave destroyed to get rid of the biggest neo-Nazi pilgrimage site in Germany. His remains were placed in another coffin which was incinerated and his ashes scattered at sea. The authoritarian communist ruler of Albania for 40 years was buried as a national hero in the Martyrs' Cemetery after his death in 1985. But after the fall of communism, his remains were exhumed in 1992 and transferred to an ordinary public cemetery in a suburb of the capital Tirana. A pyramid-shaped complex in his honour served for a while as a cultural centre but is today in ruins.